The Quantum Energy Comforter made by Richway is a perfect compliment to the Biomat, enhancing the infrared and negative ion therapies it produces. The comforter is environmentally friendly. This comforter has an amethyst layer to help produce and enhance your Biomat experience. It also has a tourmaline layer to maximize the negative ions around you. 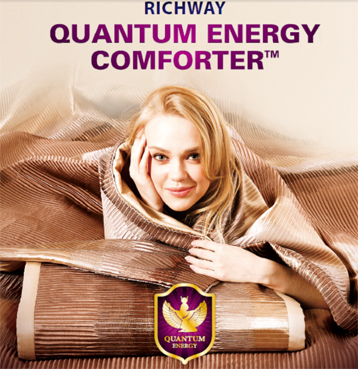 Used with your Biomat, the Quantum Energy Comforter intesifies these therapies. Used alone, you still experience infrared and negative ion involvement. The comforter is light, soft and comfortable, making your sleeping experience relaxing and rewarding, giving you a great night's sleep. Specially designed with peach pit and grape seed extracts, tourmaline and amethyst! Richway BioMats are made with real Amethyst stones. Amethyst is "nature's tranquilizer". Richway's BioMats are a combination of what the human race has known for centuries and what we are still learning. While on the cutting edge of health technology, Richway is also a huge believer in the theory, "If it ain't broke, don't fix it." The ancient Egyptians and Greeks alike recognized Amethyst as a healing stone. So Richway's BioMats are covered in Amethyst crystals, polished and smooth for better comfort. The Amethyst works in synergy with the Far Infrared Rays and Negative Ions emitted in large quantities from all BioMats to give you healthy relaxation and optimize your well being. 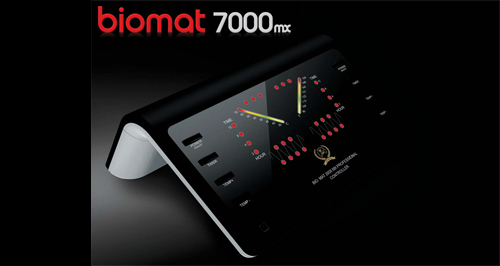 Becoming a distributor only costs a few bucks and truly, if you're going to spend the money for a BioMat, this is the way we look at it...BioMats are truly innovative, beneficial health technology and when your family and friends try yours, they're going to want one too. You could be making commission on those purchases that will be made by someone whether you become a distributor or not. So spend less than $50 with shipping and become a distributor of Richway products today. You're crazy if you don't. And for spas, chiropractic and massage therapy offices, doctors and dentists, YOU'RE crazy if you don't become distributors too. Give your clients REAL service and present them with a product that really will help their health and provide much more than they ever expected.